An all-black 5/8 wave base loaded coil and Kulrod whip LM mount antenna for 144-174 MHz radio. The LM150C is from Larsen antennas. Larsen is a leading global supplier of antenna solutions for many professionals and agencies. 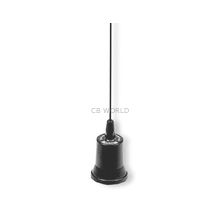 A black whip antenna that rides securely in NMO type mounts and sits only 52 inches above the mounting deck. The LM150C is flexible to withstand rough field use and still provide years of dependable service. Agencies around the country rely on NMO antennas to get their message out. Now your organization can experience the same ultra-reliable low band 144 -174 MHz performance with the LM150C. Coaxial cable and mount are sold separately and are not supplied with LM150C. The LM150C is easily field tunable to match peak performance to your individual radio installation. Larsen whip antennas are for astute radio operators everywhere. Tuning is required in order to achieve peak antenna performance. 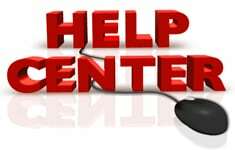 The How to tune your antenna guide available form CB WorldÃ¢  s help center offers complete how to information. Black coil and black Kulrod whip for LM mounts, 144-174 MHz. Max height is 51 3/4"